This resources is designed to be used in a way to fit your needs. You can just printed it as a packet and use it how it is or pick and choose what you want to use. 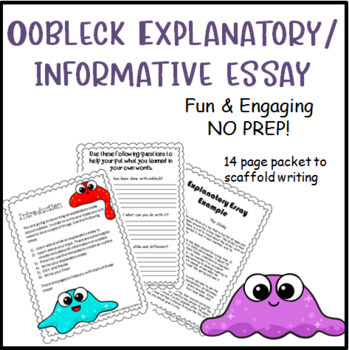 Pages 3 through 17 can be printed in a packet for students to use. There are additional pages that give you answers and other options you can use with your students. There is also an editable rubric. 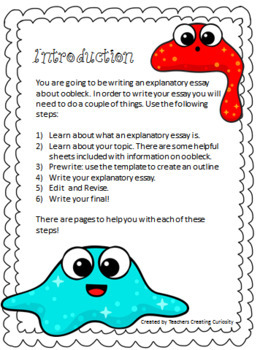 There are pages about what explanatory essay is, an example outline, and example essay. 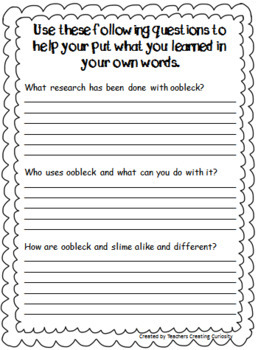 Also, there is a reading on oobleck with comprehension questions along with directions for making oobleck. There are three outline template options so you can pick one that fits best for your students.